Union County, NJ – The Union County Board of Chosen Freeholders is pleased to announce the recipients of the new UC Night at the Theater grant. As part of Freeholder Chairman Sergio Granados’s “Moving UNION COUNTY Forward” initiatives, the new program aims to help cover the costs of high school theater productions and provide arts enrichment for the community at large. Over $26,000 in grants were awarded to help cover the costs of high school theater productions slated for the spring or fall of 2019. 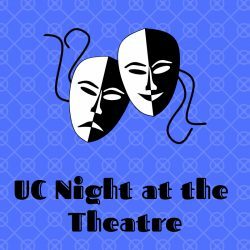 The UC Night at the Theater program is funded through Moving Union County forward in conjunction with the Union County Open Space, Historic Preservation and Kids Recreation Trust Fund. “UC Night at the Theater grants will help youths in Union County explore their interests and share their enthusiasm with family, friends and neighbors. This program not only provides resources for high school students to pursue their creative interests but also encourages the attendance of their local communities in support of these productions,” said Freeholder Alexander Mirabella, who is Chairman of the Trust Fund.